Wheal Vor is located on the eastern side of Tregonning Hill at Carleen in the Parish of Breage. One of the most productive tin mines near Helston was Wheal Vor at Carleen in the Parish of Breage. 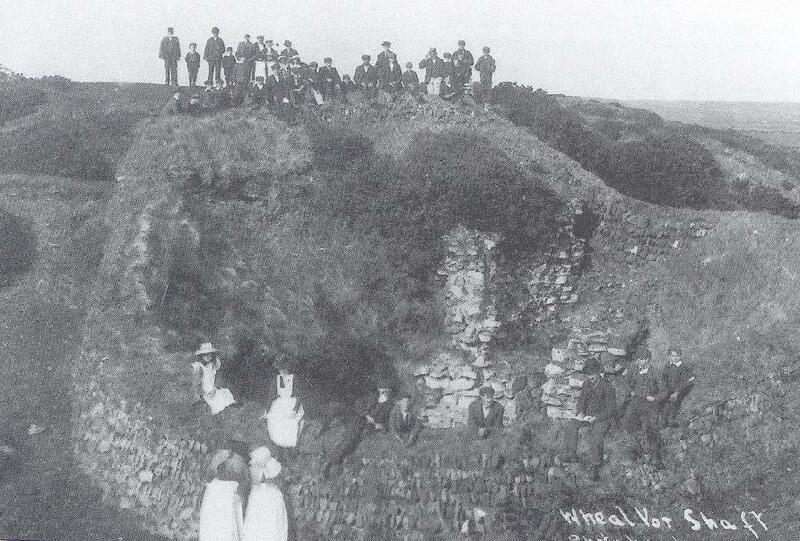 Originally known as `Huel Vur` (`Great Mine` in Cornish) it later became known as `Wheal Vor`. 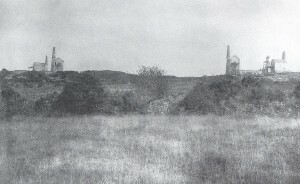 Located near Tregonning Hill, which was famous for the first extraction of China Clay (Kaolin) in Cornwall, the mine was set in a 10 square mile area rich in mineralised Killas (Killas is the so called country rock that surrounds granite – a mixture of metamorphosed slates and shales) with many intersecting `lodes` containing Cassiterite. The primary ore of Tin, Cassiterite is found in hydrothermal veins and pegmatites associated with granite intrusions. 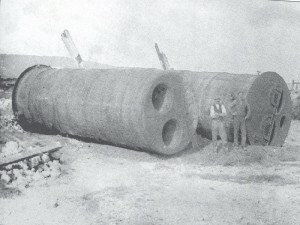 The main lode or vein was said to be between 3-8ft in size. In the mid 19th century, this mine was one of the biggest and richest Cornish tin mines, covering almost four square miles. 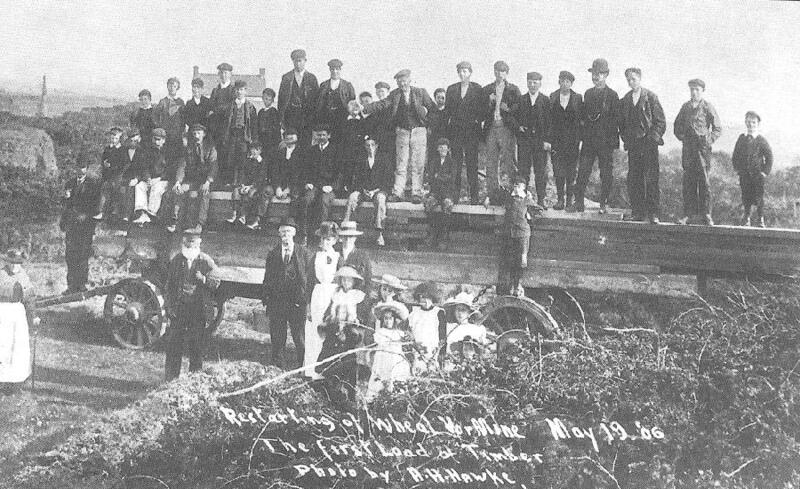 Wheal Vor can claim several `firsts` in mining history. In the summer of 1689 Thomas Epsley introduced the use of gunpowder at Wheal Vor to blast ore from the lode. 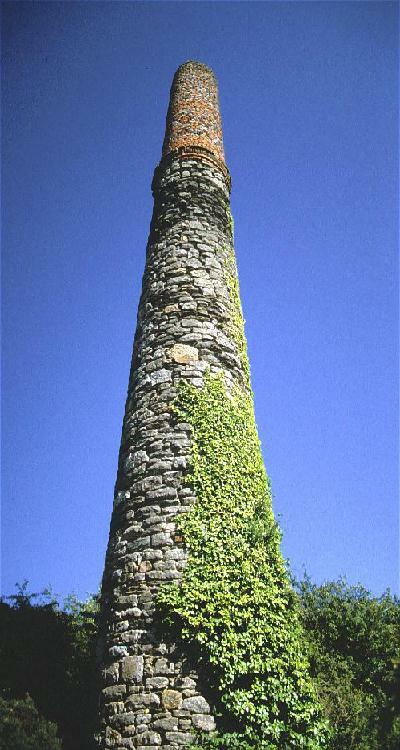 It is also claimed that Wheal Vor was the first mine in Cornwall to use steam power for de-watering the mine. The parish register indicates the first use of a steam engine to drain the mine workings at the end of the 17th century. Such an early engine may have been an example of the `Atmospheric Pump` invented by Tomas Savery who patented his contraption in 1698. 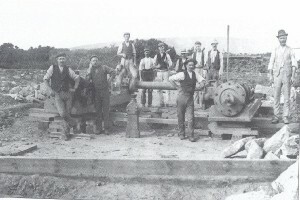 A few years later Thomas Newcomen increased the efficiency of this type of engine and one of his examples was at work at the `Account House` at Wheal Vor in the early 18th century. It was not until the beginning of the 19th century that Wheal Vor really started to gain its fame as a large tin producing plant. After a period of closure the mine was re-opened in 1812 under the management of Captain Gundry of Goldsithney. His first task was to set about removing the flood waters of the workings. 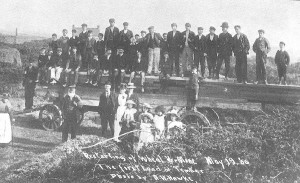 John Bratt was entrusted to erect a 40 inch steam engine to de-water the mine and at the same time Arthur Woolf, a well-known engineer, constructed Wheal Vor`s first Steam Stamping Mill. Meanwhile, 1400 ft below the Underground Captain, Mark Reid set about getting production of ore into operation. In the 1820`s the main engine shaft was already at the 133 fathom level (798ft) below the main adit with more than 500 men working underground. There was even a blacksmith`s forge busily working away keeping the underground tools sharpened. By August 1827 Wheal Vor had seven engines working the various shafts. These included one Trelawney and one Borlase 80 inch engine, a Pearce 63 inch and a Woolf 53 inch machine. In 1819 Captain Gundry was replaced by Mr. R.Tyack, after he was unfortunately declared bankrupt. Mr. Tyack did a marvellous job and by the time of his untimely death in 1825 the mine was producing around £10,000 worth of tin every month. 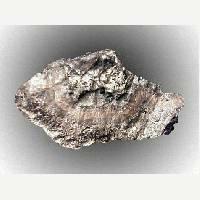 At this time the average price of tin was about £40 per ton, so some quick calculations gives the production at around 250 tons of tin per month or 3000 tons per year! However, only a few years later the mine once again closed for a number of years due to legal disputes. In 1837 it again opened and in that year it produced 2638 blocks of tin. Expansion was again the order of the day with the aqusition of the adjoining mine setts at Polladras Downs and Carleen. The outline of Tregonning Hill can be seen in the background. “One of my earliest recollections was of the tin-streaming in the Cober valley. I was most interested in the little train which ran along the rails. It was said that a German firm were working it when the war broke out (WWI). It suddenly ceased to operate (they were all German spies, it was said). Traces of the large concrete fixtures can still be seen in a walk beyond the present sewage works to Castlewary. Operations have never been resumed to my knowledge. There must still be many thousand tons of tin in that valley waiting to be recovered. 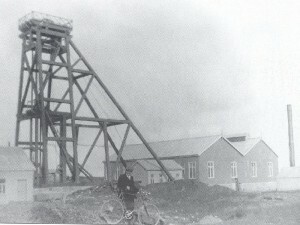 There was another mining project in hand at Wheal Vor in Breage parish. 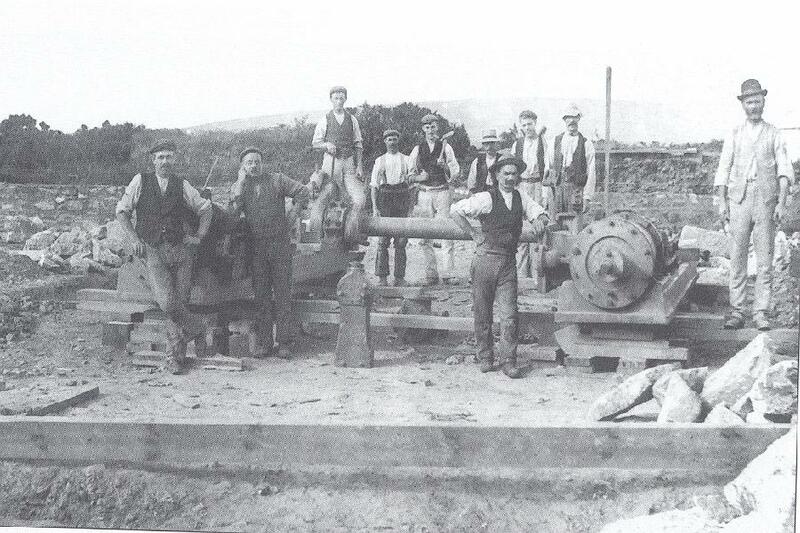 Coal used to be transported from Hayle Wharf by traction engine. Coal was the fuel used to provide steam power to work the electric generators. During my early days the mine did not produce any great quantities of tin. Effort was concentrated on pumping out the water. I have been told that there are four miles of tunnels underneath which were not de-watered – this was attributed to pump failure owing to coal failing to arrive. Coal supply coasters were unable to approach Hayle port because of the weather. I can just remember the road, known as the Black road, being churned up into a sorry state by the progress of this heavy traffic over its unmetalled surface. It has been stated that in its heyday, four thousand persons – men, women and boys – worked at Wheal Vor mine where the whole mining process was carried ou in the vicinity. The population in those times exceeded that of Helston town”.